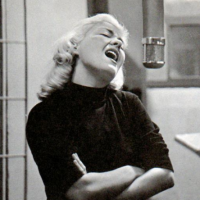 Tune in to Out to Lunch on Tuesday May 5 to hear a live interview with Helen Merrill. She’ll play some of her favorite songs and talk about her recordings with Clifford Brown, her time in Japan, and her collaborations in the 1980’s with British pianist Gordon Beck. Join us in celebrating her illustrious sixty year career.